Dr. Daniela Burchhardt is a board certified head and neck surgeon and fellowship-trained facial plastic and reconstructive surgeon. She has developed a prestigious reputation providing long lasting and natural results for her patients. Dr. Burchhardt’s passion for her work drives her to deeply understand patients’ needs and to provide them with personalized care. She is well known for her sincere and engaging warmth in her patient interactions, and enjoys helping her patients achieve their aesthetic goals. 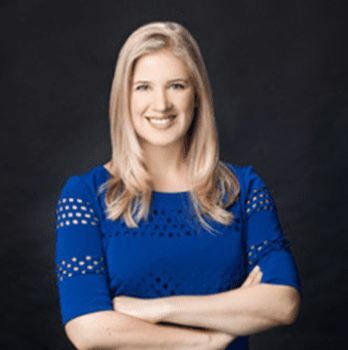 Dr. Burchhardt first came to Houston to study biochemistry and cell biology at Rice University, and went on to obtain her Doctor of Medicine at Baylor College of Medicine. After her residency in Otolaryngology and Head and Neck Surgery, she completed additional subspecialty training in Facial Plastic and Reconstructive Surgery through the esteemed fellowship at Vanderbilt University, where she led the facial trauma team and taught resident surgeons. Dr. Burchhardt is accomplished in aging face procedures and performs both deep plane and mini-face lifts. Her understanding of facial harmony combined with her meticulous technique enables her to achieve natural looking results. Her approach to neck contouring creates a more refined jaw line for youthful and aging patients alike. She is technically skilled at rhinoplasty and has a thoughtful approach to addressing her patients’ aesthetic hopes and to thus deliver to them the nose they always wanted. As a surgeon, Dr. Burchhardt is uniquely positioned to provide Botox and filler treatments that aesthetically complement the patient’s anatomy. Dr. Burchhardt has also written award-winning research grants, and her publications include numerous peer-reviewed journal articles as well as textbook chapters. Dr. Burchhardt’s specialized research has focused on Botox applications in facial paralysis, rhinoplasty modeling, as well as head and neck cancers. Dr. Burchhardt understands the importance and thought process that goes into selecting the right surgeon, listens to her patients, and enjoys counseling on which procedures will achieve the best individual outcome. She has an astute eye for facial analysis, and takes pride in the excellent outcomes she delivers through her skill, artistry and dexterity. She is board certified by the AbOto and a member of the American Academy of Facial Plastic and Reconstructive Surgery.